State officials approve permits to bring slots and card games to Catalina Island. AVALON — The city where Third Street exists without a First or Second and a post office that doesn’t deliver mail will finally eliminate one of its other anomalies: the lack of gambling at Avalon Casino. Catalina Island appears to be on pace to have recreational gaming options available to its hundreds of thousands of annual tourists as the California Gambling Control Commission and California Coastal Commission approved preliminary permits and plans to convert Avalon Casino into a Vegas-style venue with slot machines, card games and wager-friendly tables such as craps and roulette. The state’s regulatory approvals, however, serves as the opening salvo of what could still be a multi-year process before Avalon Casino is formally converted into a gambling hall. Public input on design elements is still necessary. Avalon’s City Council members and public works’ staff would be consulted on traffic mitigation measures. Other potential stakeholders include commercial cruise lines and Avalon’s local businesses. City and state officials did not reply to The Log’s phone calls or emails at press time. However sources familiar with the permitting process but unauthorized to speak on the record hinted the planned casino would be operated by a Native American tribe. It is unclear which tribe would be granted operational rights over the planned casino. Members of the Gabrielino/Tongva nation, according to most historical accounts, originally inhabited the island. One thing appears to be for certain: Avalon Casino’s current façade would be maintained as is. Initial plans indicate the interior would be completely revamped to include two levels of gaming areas. A separate building would be constructed immediately in front of Avalon Casino to house a new theater. Plans might also call for Descanso Beach Club to be fully converted into a resort and villa, giving the casino its own hotel feature. A waterfront tram would connect the casino’s visitors to the resort. Converting Avalon Casino into an actual gambling destination could raise enough revenues to help Catalina Island’s only municipality address some of its most pressing issues, such as water shortages and shoreboat services, sources close to the regulatory process also noted. Avalon – and Catalina Island as a whole – has been suffering from extreme drought conditions in recent years. Meanwhile local boaters suffered for months without a shoreboat service. The last shoreboat operator scaled back the service offering in 2016 after its initial requests for financial assistance from City Hall were rejected. City officials also announced a stretch of seawall at the edge of Avalon Harbor is in need of repair. Addressing these three issues alone could cost the city of Avalon millions of dollars. City officials indicated an influx of gaming and tourist related revenue would go a long way in helping Avalon increase its water supply, offering year-round shoreboat services and rebuilding a new seawall. Roughly 4,000 people call Avalon home but the city and island draws about 700,000 tourists annually. Opening a Vegas-style casino could be an added draw for more tourists, especially amongst the cruise line crowd. Avalon is a regular stop along the frequently used Los Angeles-to-Ensenada line. News of a planned gambling hall opening at Avalon Casino met with mixed reviews among Avalon boaters and businesses. 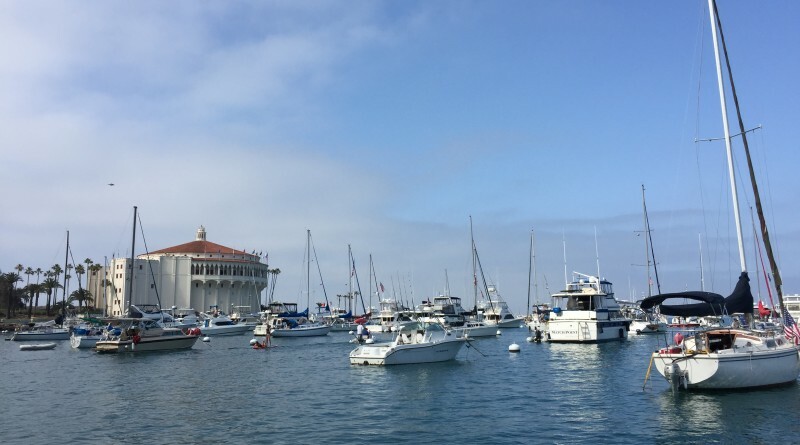 One boater who visits Avalon Harbor from Santa Barbara every other month said the addition of an actual casino within city limits could convince him to return to the island more frequently. The planned casino was not met with quite the same enthusiasm from a local business owner and Chamber of Commerce member, who spoke to The Log on the condition of anonymity. Hi! Thank you for reading through the entire article! April 1 is just around the corner, so we decided to have a little light-hearted fun. The Log’s Parimal M. Rohit (the byline above is an anagram of his name) penned this satire column in hopes of drawing a few chuckles. He wrote this as a work of fiction in honor of April Fool’s Day. Everything written above is either products of the author’s imagination or used in a fictitious manner. Any resemblance to actual persons, living or dead, or actual events is purely coincidental. [SATIRE] Not an all bad idea. But… The games should be limited to such things a high stakes baccarat, craps, and roulette, ala a James Bond film, with the white dinner jacket being mandatory to reduce the riff-raff likely to appear because of the new found ability to finance shore boats and the probability of increased draw form Santa Barbara County where the Chumash casino is located. A contingent of Sean Connery, Humphrey Bogart, and George Raft look alikes would be a good investment. The necessary extras would help local employment, at least until the casino catches on. The housing shortage that would result can be solved by moving the Queen Mary to adjacent Descanso. Ignore the sea wall fix though, an element of danger is always exciting. Funny part is that I think an operating casino that includes gambling as well as gamboling is good idea. This article is absolutely brilliant. I would have never suspected it was fake news. It now has me second guessing just about everything else I read. No need to second guess. Most modern “journalism” has an excess of editorial license placed therein by the authors, not the editors. The grin of salt test is no longer enough, a stronger test would be useful. Whatever else, the author did a fine job, since, as you say, it could pass for straight news. Too bad t is not if it is not. Although gambling is supposed to be a form of entertainment I don’t think people realize the danger of it, the hurt and families falling apart due to addiction. I am a born and raised Las Vegas Native and still live and work in the city at a local casino. I see the same local people on a daily basis blow their rent, grocery and paycheck they just worked sooo hard for in a matter of minutes trying to hit big or think that one more dollar is going to get their money back only to leave empty handed, depressed and dreading to go home and face the reality they may get their family evicted because they just lost every penny they had to a casino. The House always wins and if your lucky enough to hit something you probably barely broke even and still won’t walk away. Maybe good for business but definitely Not good for the local people!